The French riviera, one of the most emblematic French destination thanks to its wonderful coastline and weather, is a must-do for hike and bike lovers. Not only there are many beautiful cities, you can also enjoy discovering the Mercantour National Park, the perfect spot to enjoy outdoor activities. With the likes of Menton, Cassis, Nice, Saint-Jean-Cap-Ferrat and many more, if you are wandering in this area, you are definitely in for a treat. Nice, the capital of the French Riviera is also the birthplace of this area: with many of the British aristocracy travelling to Nice in the early 20th century, the city is home to the famous “Promenade des Anglais”(Walkway of the English), one of its most emblematic streets. The aristocracy, enjoying this beautiful city and exceptional weather decided to nickname this area, around Nice, the "French Riviera" to extend the "Italian Riviera" up to France. With many historical sites, the city centre is a perfect place to wander through its streets: the "Promenade des Anglais" where you will be able to marvel at some of the most beautiful hotels - that have made this city famous - but also at the “Bay des Anges”, along this notorious walkway. The Palais Lascaris, many religious edifices and sites are as many reasons to discover the capital of the French Riviera. With the likes of Grasse, Eze, Menton and Vence, enjoy discovering these beautiful villages by foot or on your bike. Not as famous as Nice but certainly as beautiful, these villages are must-dos if you would like to understand and discover the Riviera's way of living. 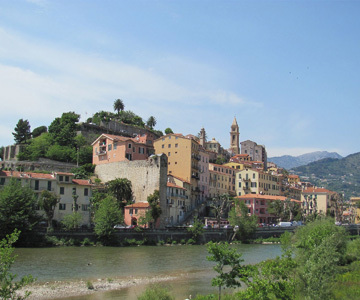 With incredible panoramas and vantages points over the Mediterranean Sea, medieval and hilltop villages and incredible sites witnesses of the rich past of this region, a hike in the back country of the French Riviera is a wonderful experience. 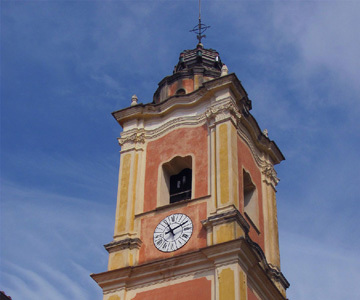 Have a look at our WALKING TOUR around MENTON: HIKING FROM THE MERCANTOUR SOUTHERN ALPS TO THE FRENCH RIVIERA TRAILS ! If you enjoy mountain hikes, this is the place to be! With its many summits, its unique fauna and flora, the Mercantour national park is one of the first protected Natural Parks in France: at the time this area belonged to the kingdom of Sardinia and the King decided to protect this area to safeguard the animal species that he saw disappearing progressively. It has ever since become a protected area where its natural environment has been thriving. 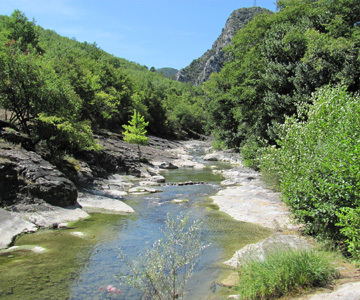 Nature and hike lovers, this will be the highlight of your holidays in the French Riviera! Discover our unique WALKING TOUR in the MERCANTOUR NATIONAL PARK: MERCANTOUR HIKING: ALPINE LAKES AND ROCK CARVINGS !